Set up is anytime between 8.00am on Friday and 9.00am on Saturday. There will be no vehicular traffic allowed onto the field after 8.00am on Saturday due to some competitions starting early. Please read the rules prior to filling out the form. If your vehicle has to remain on the field during the day please note this in the additional comments box with details. Further information will be available in the lead up to the games on this page with regards parking/set up etc... Watch this space! 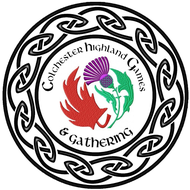 I have read and understand the rules & regulations regarding the set up of our booth at the Colchester Highland Games & Gathering and by completing and sending this form I agree to abide by them.